Discover how a lack of focus during an exercise could potentially benefit your form, rather than negatively affecting it. Mentors, fitness coaches, and even our own brains encourage us to focus during an exercise, as it will only improve our results. Put enough thought behind a muscle under stress, or an agile movement and our form ought to significantly improve overtime. However, research from the University of Nevada-Las Vegas seems to discredit this idea all together. As indicated by Wulf, the world’s greatest athletes don’t give the movement of their bodies a second thought. This is because of constant practice, making their exercise and performance second-nature. Her studies seem to suggest that we can fool our bodies into thinking our movements are already programmed into our minds. This would emulate the mental state professional athletes hone into, benefiting one’s form during a workout. We recommend following these tips from Wulf to train your brain’s thought process for better performance during an exercise. This can go for any exercise. While weight lifting, concentrate on the movement of the dumbbell rather than the muscle. 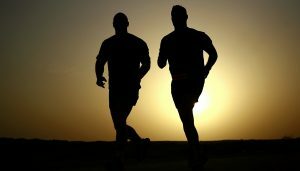 While running, concentrate on pushing against the ground as opposed to breathing or the movement of the legs. When you disregard particular movements and focus on what’s around you, your your overall form will benefit, Wulf says. Positive thoughts accomplish more than good feelings—in fact, it makes for a more productive workout, while also benefiting the way you breathe during an exercise. In a recent report, Wulf divided sprinters with similar skills into two teams. The first team continued to run for 10 minutes. Additionally, the second team continued running for 10 minutes, while also receiving encouragement on their form—even if any sort of form was actually lacking—every two minutes. The second team felt less exhausted and seemed to breathe more efficiently than the first team. This proved that if you convince yourself you have good form, your workout will feel less demanding and efficient breathing will prove to be less of a challenge. Wulf says this is due to your believing you possess good form, causing your mind to think less. “Positive feedback relaxes you, and you aren’t consciously concerned about your efficiency,” she says. When working out solo, you can benefit from the energy of positive thoughts by convincing yourself that you have great form, or when giving thought to a recent achievement. When exercising with a partner, encourage one another’s success. This will enable you to worry less over your form, which will enhance how you feel and perform during a workout. Wulf states that encouragement promotes accomplishment during an exercise. Feeling empowered not only promotes form, it causes you to feel less fatigued. The end result? It requires little effort to encourage motivation, Wulf’s studies show—as long as you are in control. 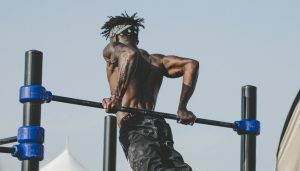 If you have already begun a workout plan, start bay changing little bits of your routine, such as in which order you perform your workouts, or the kind of warmup and recovery stretches you perform.